The shift toward fully electric cars is quickening, but that doesn’t mean all Americans are totally on board with the price tag and the inconveniences that plug in vehicles seem to have. Though it makes sense to expect that eventually Americans will adopt the electric way of driving, for now, it seems that hybrids are offering a sort of stepping stone between traditional internal combustion engine vehicles and electric vehicles. 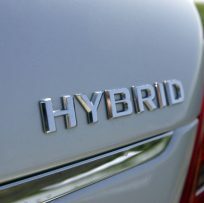 Here are a few reasons why buying a hybrid is still a worthwhile purchasing decision. Good fuel economy has long been one of the biggest selling points of hybrid vehicles. Hybrid fuel economy is so impressive because the vehicles don’t just run from the traditional fuel source that drivers put in at the pump, which makes them between 20% and 35% more fuel efficient than traditional cars. When hybrids were first introduced gas prices were increasing at quicker rates than many Americans had ever seen, which encouraged them to opt for a hybrid model. These days, gas prices have pretty much stagnated — but who wants to pay that much for gas when they don’t have to? Again, we’re seeing more and more fully electric model cars, but many drivers are still skeptical of the way they work and whether or not they will be more of an inconvenience down the road. The first popular hybrid car, the Toyota Prius, came on to the American market around the year 2000, and in the last 14 years these cars become much more popular and accessible to the average American. They aren’t just a trendy way to help save the environment; they’re a practical and smart choice for many Americans. Everyone knows that hybrids save their drivers money on gas since they don’t burn fuel all of the time, but there are a couple of other ways that owning a hybrid can pad a driver’s wallet. Many car insurance companies offer tax incentives for hybrid owners because studies have shown that they are less likely to get into car accidents. Additionally, there are federal tax incentives for hybrid owners. These tax incentives are also moving over to cover fully electric cars, but buying a new hybrid can still be beneficial tax-wise. This has also been a really popular selling point for hybrid cars. When they were first introduced, the green movement and focus on environmental issues were just emerging as mainstream movements, but now, many companies, businesses, and individuals are paying closer attention to their environmental impact and are making changes to decrease it. Since hybrids run off of electric batteries for cars some of the time, the amount of harmful emissions they release into the environment is lower than that of their traditional counterparts.